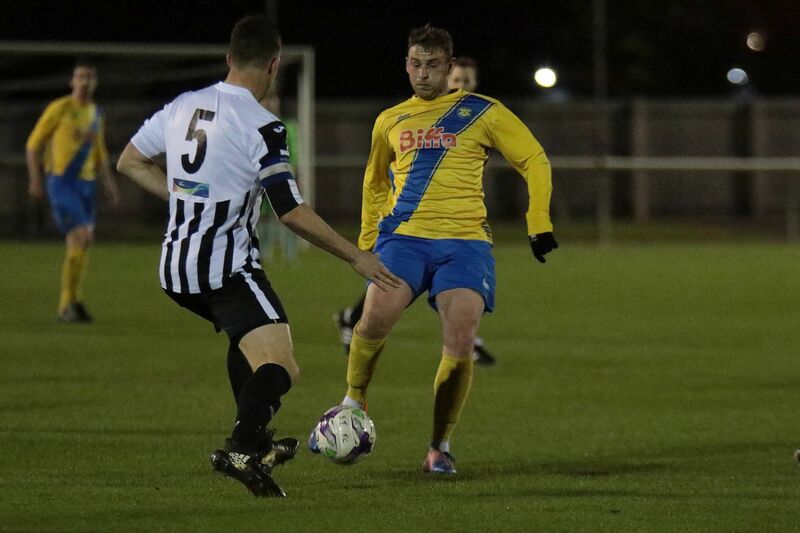 Stockton Town made the long trip to Ashington hoping to continue the run of good form following the superb 4-0 demolition of Newcastle Benfield. Despite having managerial issues Ashington had hammered North Shield’s in their previous game and have collected as many big name scalps this season as Stockton have recently so this would be another tough match. There was one enforced change, Matty Garbutt replacing Chris Stockton who was working away, but Nathan Mulligan was back in the squad after suspension and Jamie Owens was included after injury. 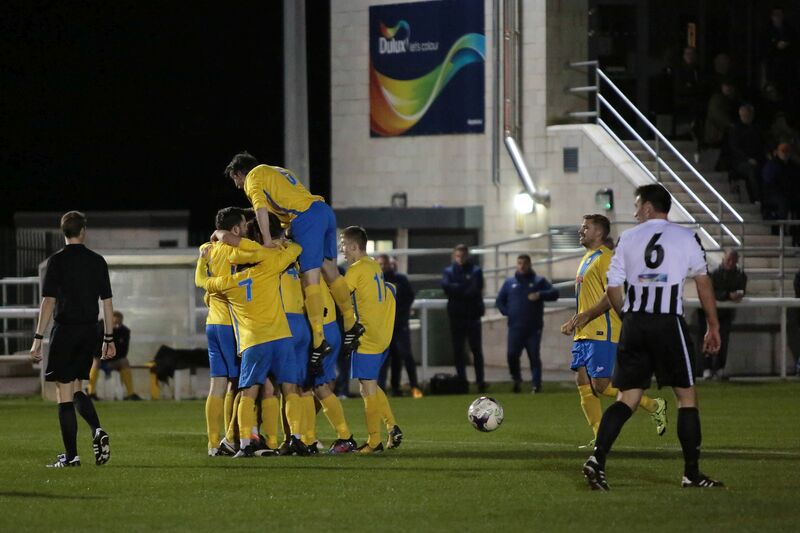 After 10 minutes of feeling each other out the first real effort at goal fell to Ashington, but Edwards 25yd free kick was hammered high and wide. 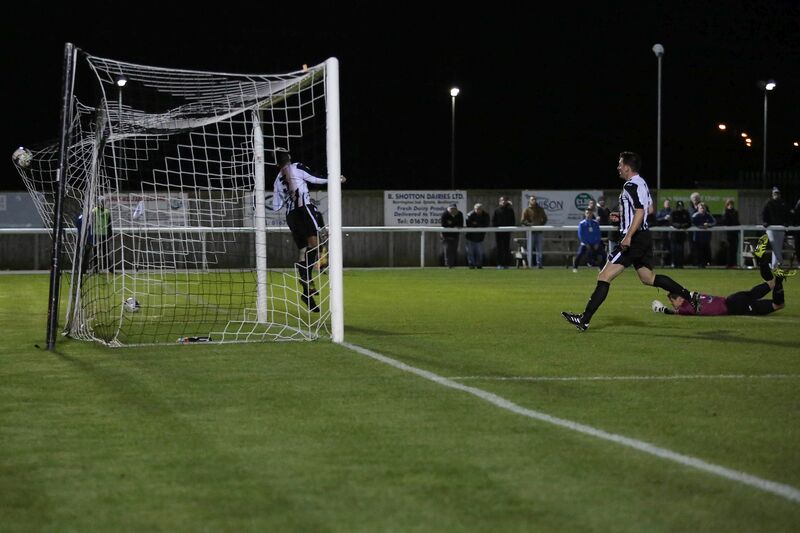 Stockton took the lead in the 11th minute when Garbutt intercepted a crossfield pass and although it ran away from him he was quick enough to get around Ashington’s Scott and challenge the keeper for the loose ball, it ran to Woodhouse who slotted it home from just inside the box. 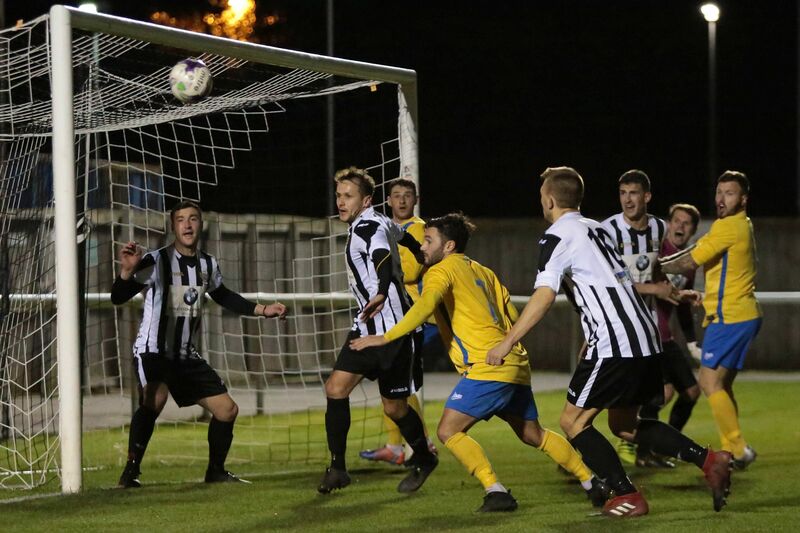 Just as it looked like Stocktons pace and movement was providing a foothold in the game Ashington replied, Salmons free kick from the half way line headed goal wards by Chilton and Arthur made a rare error allowing the ball to roll into the goal for a sloppy equaliser on 18mins. 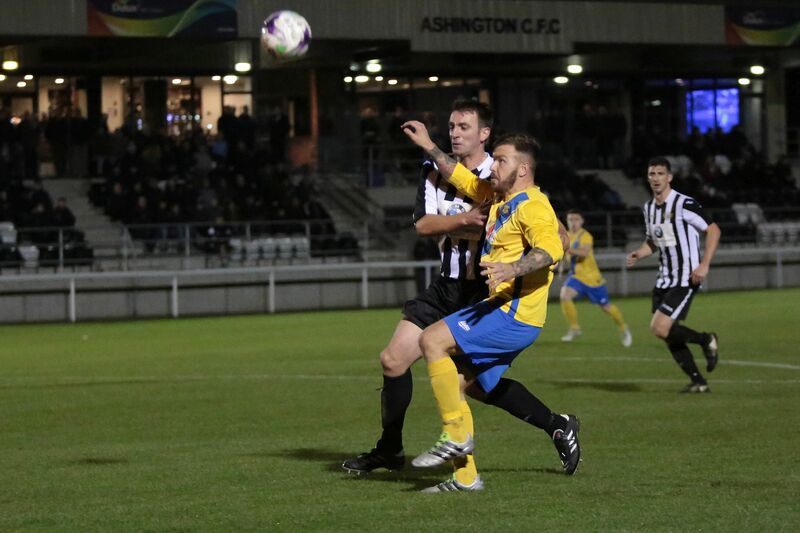 Ashington had a little spell of pressure and their direct style was causing a few moments of concern but there were no real efforts on goal for Arthur to worry about. Stockton were starting to get Hayes into the game and following a typical mazy run his cross flashed across the 6 yard box with no one getting a touch. 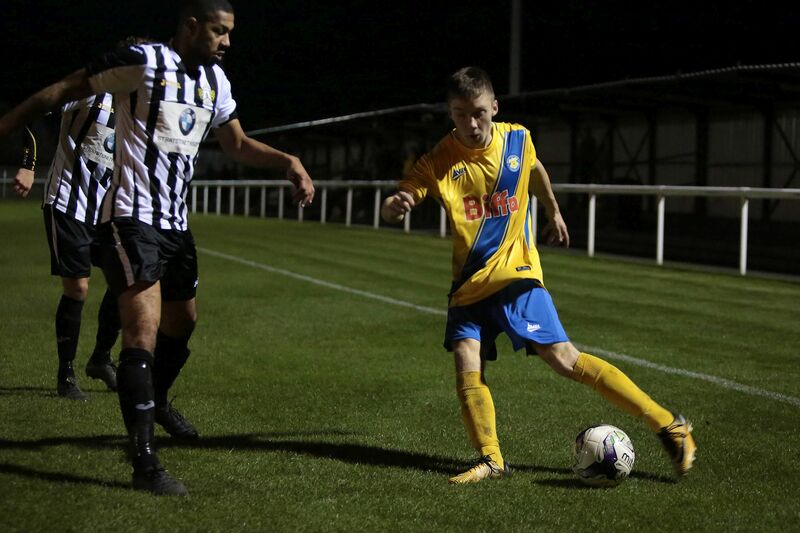 2 minutes later Ashington full back Strafford made a rash lunge to stop Hayes as he jinked his way into the box and although it looked close to being a penalty the Ref gave a free kick right on the 18yd line to the left of the goal. 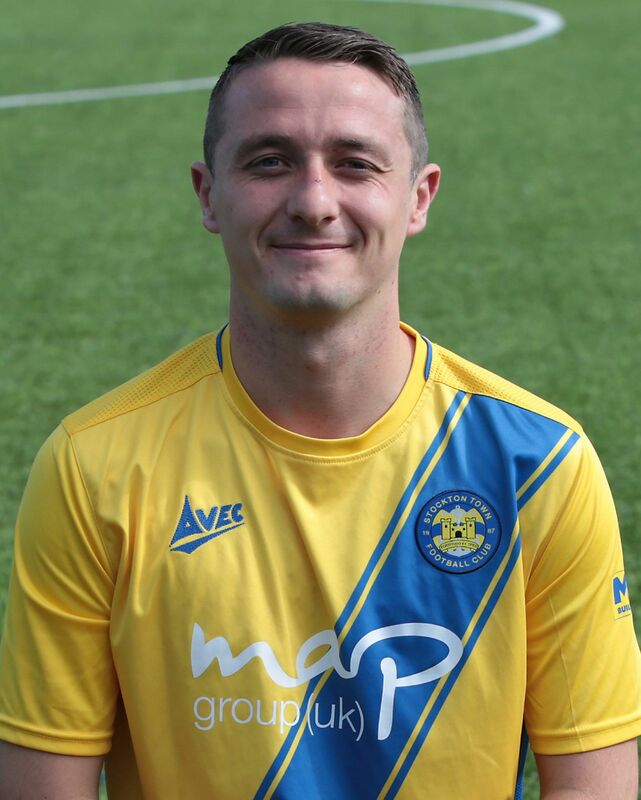 Skipper Max Craggs despatched it superbly around and over the wall with pace into the top corner giving Grant no chance making it 2-1 on 34 minutes. 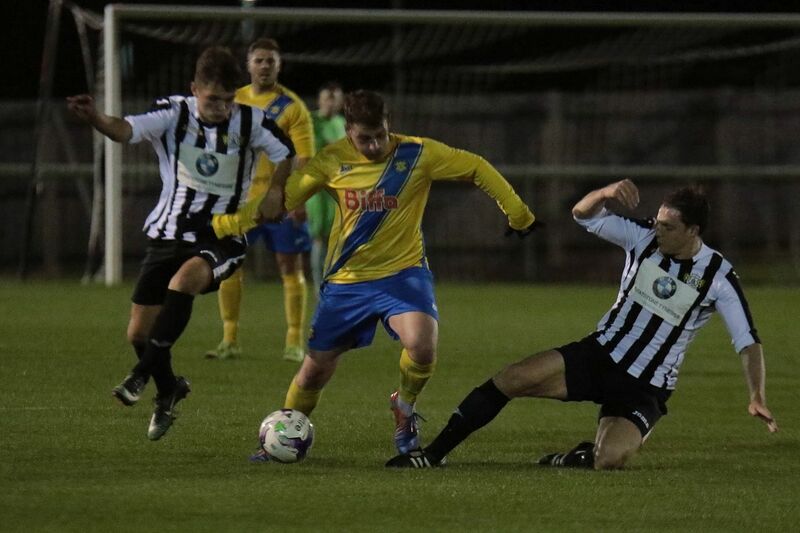 Stockton continued to look dangerous but the score remained unchanged at Half Time. 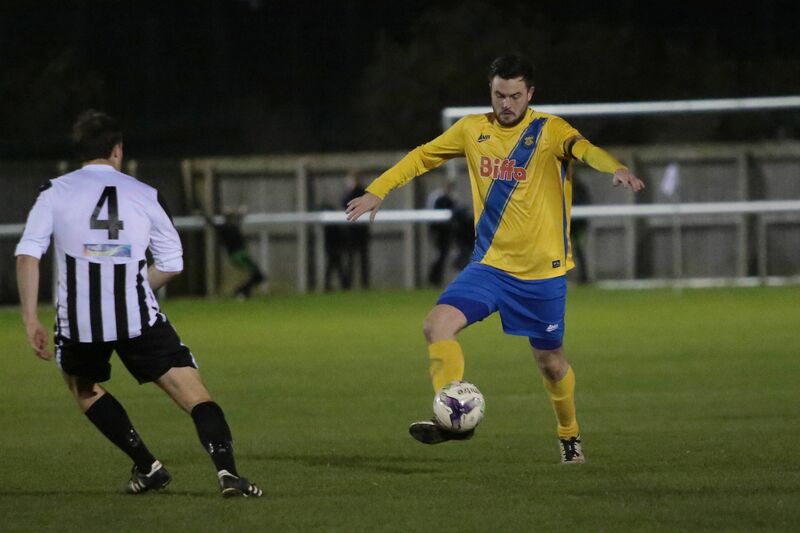 Second half started with Stockton pressing and Dale Mulligan flashed a volley over following Grants punch from a right wing corner on 47 minutes. Colemans break down the right and cross was just behind Woodhouse 2 minutes later and a deserved third goal finally came on 54 minutes when from Garbutts incisive pass Woodhouse had a shot blocked and Coleman finished nicely from 12 yards. At that point it looked likely the Anchors would win comfortably. 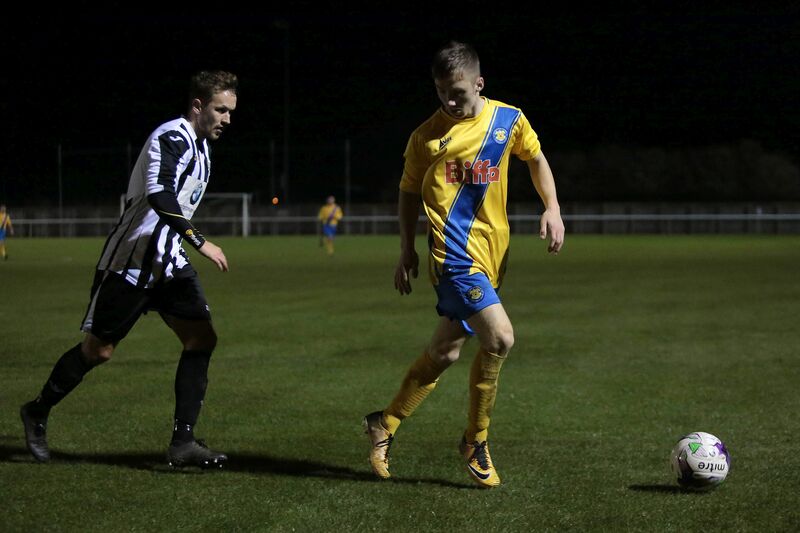 However the Ref had other ideas and when Carter accidentally brushed against winger Johnston’s legs as a cross field ball was harmlessly running out of play, he pointed to the spot to give Ashington a way back into the game. 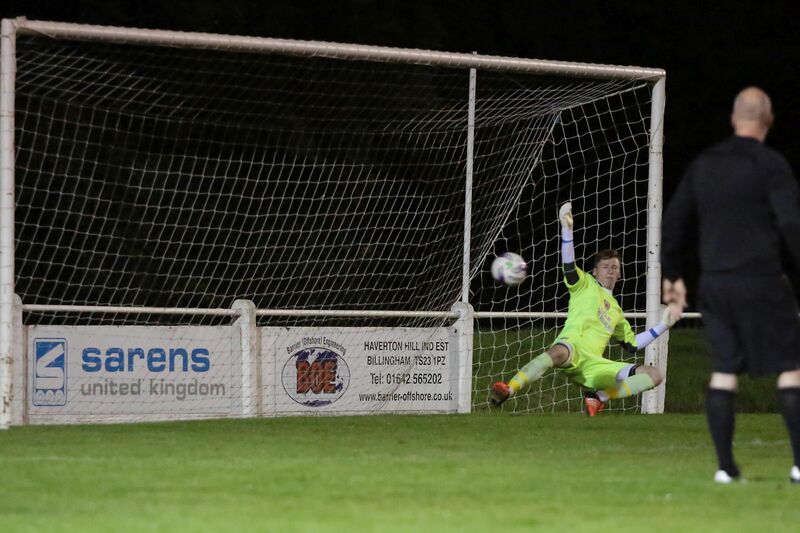 Chilton despatching the Pen coolly for his second of the night on 63 minutes. 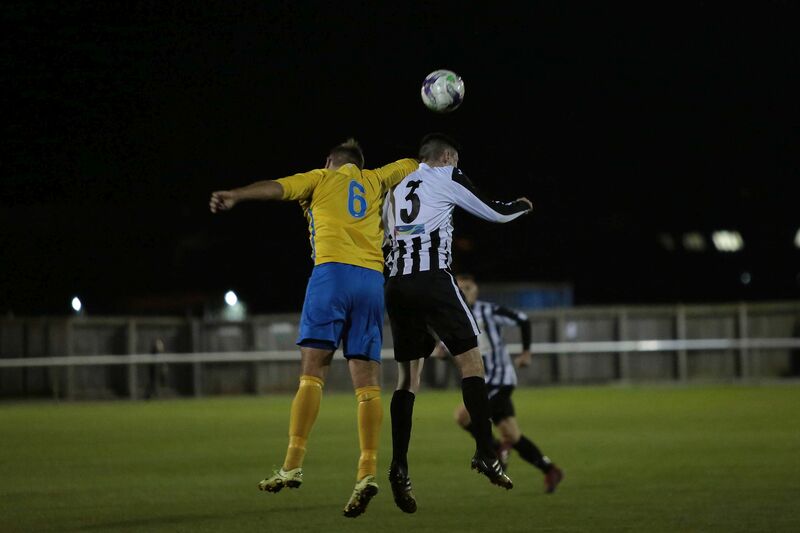 The game got very scrappy after that as Ashington tried to impose their style with the ball being played quickly forward which brought several free kicks and a couple of yellow cards as challenges were clattered into. The Anchors stood strong and Mulligan and Cossavella dealt with everything calmly while Poole seemed to be everywhere in front of them. 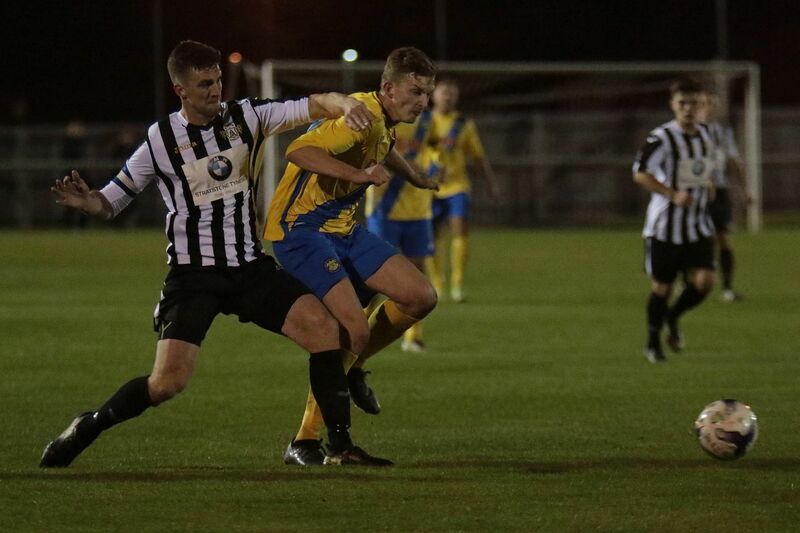 Things changed in the 74th minute when Edwards was shown a Red Card for Ashington after apparently kicking out at Craggs while he was on the floor following another crashing challenge by Scott. 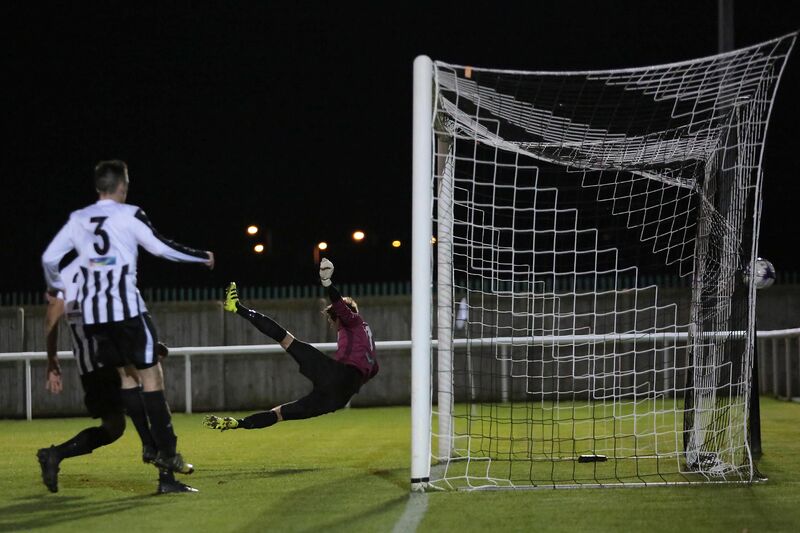 Although Ashington ploughed on gamely for the remaining 18 mins and 7 mins injury time it was Stockton who almost increased their lead through Hayes who shot over and then Craggs who’s 30 yard screamer that hardly left the floor scraped the wrong side of the post.